Ships Monday, April 22 if ordered in the next 2 days, 9 hours and 30 minutes! 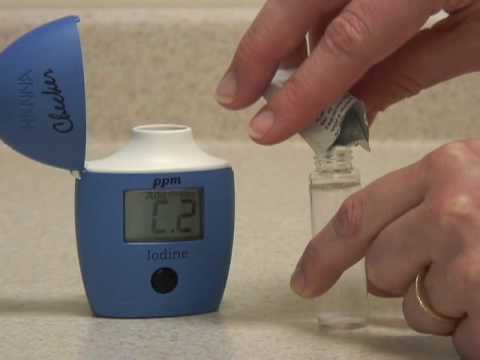 Hanna Iodine Checker HI718 is extremely simple to use. First, zero the instrument with your water sample. Next, add the reagent. Last, place the vial into the instrument, press the button and read the results. Its that easy. The HANNA Checker®HC’s bridge the gap between simple chemical test kits and professional instrumentation. Chemical test kits are not very accurate and only give 5 to 10 points resolution while professional instrumentation can cost hundreds of dollars and can be time consuming to calibrate and maintain. The HANNA HI 718 and Checker®HC is accurate and affordable. 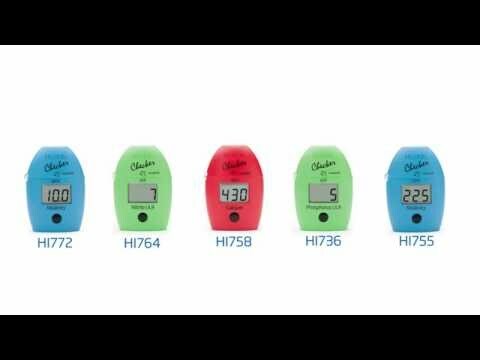 The HI 718 Checker®HC portable handheld colorimeter features a resolution of 0.1 ppm and accuracy of ±0.1 ppm ±5% of reading. This Checker® HC uses a modification of the DPD method used for residual chlorine. The HI 718 is extremely simple to use. First, zero the instrument with your water sample. Next, add the reagent. Last, place the vial into the instrument, press the button and read the results. It’s that easy. HI 718 Checker®HC is supplied with sample cuvettes with caps (2), powder reagents for iodine (6), battery and instructions. Method adaptation of the Standard Methods for the Examination of Water and Wastewater, 18th edition, DPD method. Can this meter be used with saltwater/reef tanks? I found a description that states it is designed for freshwater only. Hanna does not recommend this meter to be used for saltwater. They recommend using Salifert Iodine test kit instead.